TNPSC - Tamil Nadu Public Service Commission has conducted TNPSC Group 1 Combined Civil Services Exam 2017 on Feb 19, 2017 as per the new TNPSC Group 1 Syllabus 2017. The number of TNPSC Group 1 Posts as per the notification is 85. About 2 Lakhs of candidates have applied for the TNPSC Group 1 Preliminary Examinations. The TNPSC Group 1 Exam Analysis will be provided soon below. 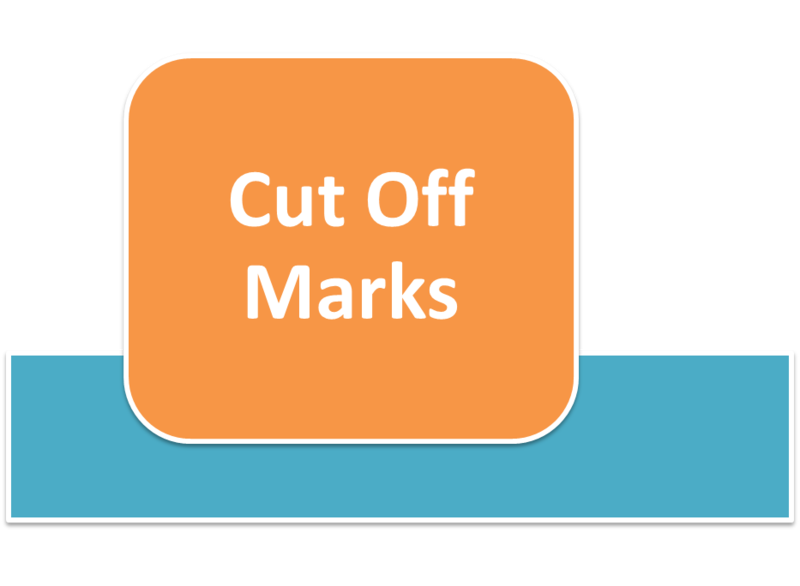 The official cut off marks for the previous year TNPSC Group 1 2015 Preliminary Exam is not yet published. Based on news gathered from the candidates those who are admitted to the written exam, the minimum cut off mark (the number of questions correct out of 200) required to clear preliminary exam is around 122(+/-) marks. You can Download the Answer key for the TNPSC Group 1 Civil Services Preliminary 2017 here for the exam conducted on Feb 19, 2017 after the exam. The TNPSC Official answer key for the TNPSC Group 1 exam will also be updated soon. The above cut off marks are based on 300+ inputs from individual candidates it will be updated after getting some more inputs. After the publication of the results please follow these simple instructions to check your TNPSC Group 1 Preliminary exam result 2017. Your TNPSC Group 1 Marks will be displayed. 73 answers are right. So what is the mark scored.! Sir! 128/200 MBC male! Any chances? 73 answers are right. So what is the mark scored.! Anybody tell me the individual mark for each questions. 128qns oc male is there any chance? 136 correct MBC any chance?? 135 BC MALE !!! Is there any chance ??? Sir i have scored 118.5 and 79question is correct.. Wheather it is a safe zone??? Sir For ne 105 questions correct. Any chance for mains? It wont clear ah sir??? and one more thing. only 22 questions are from tamil hindu, dinamani and other tamil news papers. i think current affairs section is not very easy .. its moderate.. somany aspirents think aptitude section is easy. but its time consuming.. polity&history sections are also moderate.. totally its a moderate question paper. bc female 135 marks any chance.. I got 119 questions correct. Is ther any chance for me for mains? Sir 105 questions correct. OC male any chance for mains? Sir i have scored 118.5 mbc... It I'll clear ah sir??? 144(BC) may I have chance? I wish u don't clear the mains !!!... don't irritate other aspirants. Sir I got 120 questions, BC female any chances? Please tell. 125 bc female,will i clear? Question papr was moderate..current affr r easy if v read daily newspaper..in polity expected topics like PM, CGC,Election commision are not there. In geography repeated questions and expected topics was not asked in question paper..Maths has time consuming pblms,Science qns are frm state books..overall qn seems to b Moderate for those who write xams new..But if anyone preparing for 3 to 5 years,they can score more....Factually there may b a chance of -3 or -5 Questions less than previous year cutoff frds..All the Best!! 120 qns BC female..any chances ?? As per Private Keys 137/200 ! BC MALE ! How About The Chances ? Last Time Cleared Grp 1 Prelims But Couldn't Clear Mains ! This Time Few are saying High Cut off last time I scored 140 So How About This time ?? 107 questions correct.Is there any chance BC Male. 117 QUESTIONS CORRECT, GENERAL CATEGORY.. FEMALE.. ANY CHANCES..
126 correct questions. BC female. Is there a chance for preparing mains? When is the tnpsc group 1 mains exam scheduled? Thanks in advance. Sir 130 questions out of 200 MBC female any chance? Hello sir, I got 118 questions correct. M from SC category. Is there any possibility to clear the exam? Sir I got 127 questions correct. BC FEMALE .Shall I eligible for mains? Sir I got 112 questions correct..MBC Female...destitue widow ...is there any possibility? Last time 145 qns correct main result varala. This year 144 Qns correct..
Pls don't tell us wrong info..
Can we expect the same this year too? 119 bc or bc with pstm?? This is the worst prediction ever for the following reason. Based on 190+ candidates? you kidding me. There are close to two lakh people who wrote the exam and you based it on 190? Nobody who had scored badly would bother to log on to your website and log in their scores. Does that mean they do not exist? If they do, is your prediction not skewed? Do everybody check their after exam? PLEASE FRDS ,DON'T GIVE WRONG INFO IN POLL MARKS TO ADMINS PREDICTION. 123 questions correct. BC. How about chances? Sir, 122 questions correct.. sc category..male. BC Male .Should i Start preparing for mains ? 118 question mbc male private key ..start mains preparation? overall 4250 mbc 850..any chance ? 125 SC Male. Will I clear? sir i scored 115/200 SC (M) .Is there a chance? I got 121/200. BC male. Is there any chance to allow mains? What cut off can we expect this year for SC male.Please be little factual,so that I can decide.Thanks. When they announce prelims results? 3months aaguma? Hai sir i got 110 questions correct,mbc female,is any possibility to clear? No matter what .. even this year will have the same cut off as last year. The question paper is big tough than standard and also, the number of people who appeared for the prelims exams is comparatively lesser than the previous year. So this year, the cut off will be same. Guys, please don't trust the rumors. I strongly disagree with you and it will be inline with Lee sir. Your prediction really inspiring.but when comes to the fact dont know how much true it will be. Sir am BC muslim female ..115 questions correct..shall I prepare for mains ?? Thank you so much for your kind reply.it gives me some confidence.. Bcz all my other friends said just negatively. Lee sir please reply.is this is the cut off?iam mbc female scoring 115.any chance is there bcoz want to prepare for mains. Sir how to calc the individual score . I have got 93 Questions correct. Is there any chance of clearing the first paper. Sir I clear 110qns......this is my first attempt. BC male, any chance..? 90% Chance irukuma, nambikayoda prepare panunga, ippave start panna thaan mainla intha mathiri cut off confusion varama irukum, all the best . . .
Bcm female 134 qns correct.any chance??? how to prpere gr1 mains??? when will be gr1 results?